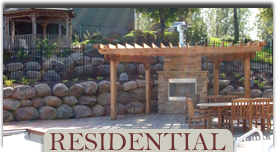 Roots Landscaping provides landscape design and installation to the entire west metro area including Chanhassen, Victoria, and Waconia, MN. 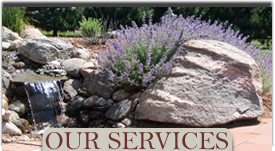 Our number one priority is to design the perfect custom landscape for you. 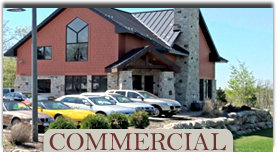 Our staff has many years of experience in the industry; they will use that experience to create the high quality, custom design you are seeking. Expand your home’s living space with an attractive, custom designed entertainment area. Landscape pavers allow us to easily make rounded edges or odd shapes that fit a particular space. Versatile and durable, pavers can be used for a variety of outdoor projects – from walkways and driveways to patios and fire pits. A well-designed walkway helps direct the flow of traffic, while incorporating a few curves can really add visual appeal. Patios make escaping to the great outdoors easy, since all you have to do is step outside! We can enhance this space with pergolas, arbors, seating walls, and landscape lighting. We pride ourselves on building strong, long-lasting, and beautiful retaining walls and other hardscapes. A block retaining wall might be just what your landscape needs if you want to level a steep slope or enclose an area for a decorative garden. During the harsh Minnesota winters – filled with cold temperatures and below zero wind chill – we provide residential and commercial snow removal services. We have the equipment and resources to handle any amount of snow fall. You can rely on us to be there whenever mother nature hits.